The SART/FNE Program provides victims of sexual assault, who are 13 years of age or older, with a prompt and coordinated response to their victimization. The SART, which consists of a specially trained law enforcement officer, an FNE, and a Confidential Sexual Violence Advocate (CSVA), provides victims with supportive and specialized services. 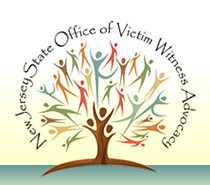 In New Jersey, no victim is charged for the completion of a medical Sexual Assault Forensic Evidence (SAFE) Kit or a Drug Facilitated Sexual Assault (DFSA)/Toxicology Kit. To ensure continuity of services for sexual assault victims, the SART works with local law enforcement agencies, SART-participating hospitals, the county sexual violence programs, as well as SOVWA.